When it comes to our hair, we can barely afford any risks as they are the most important feature of one’s outlook. 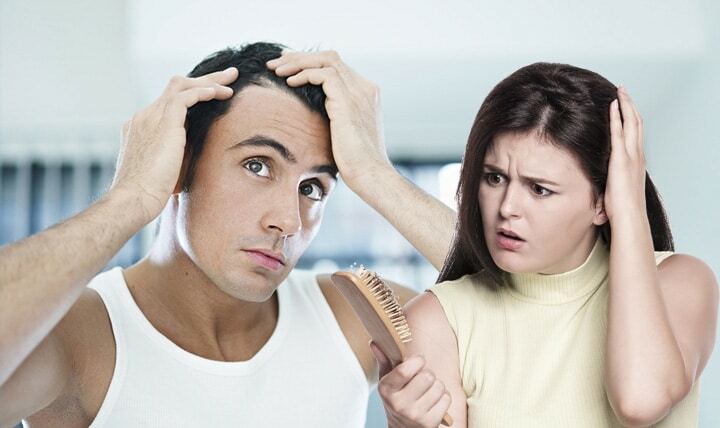 But in spite of the care that we have for our hair sometimes we come across excessive hair loss problems. Let’s understand the reasons because of which this happens. Firstly, we have to understand when the hair loss is limited to the count of 50-100 hair per day it is considered normal because it is the part of normal hair cycle, but when this count rises, there has to be some problem because of which we see such a change. Genetic causes: if the parents and the direct blood relatives of a person are suffering from hair loss the person will most definitely face the same problem. Malnutrition: Like everything else in our body the hair also require nutrition and when they are deprived of the same it leads to hair fall. Medications and other treatments: sometimes to cure a major disease the patients face the side effect of hair loss for example in case of cancer. Hormonal changes: among the many reasons the hormonal imbalances also play a major role in hair loss. Stress: these days stress is so common to every life yet the effects are just as hazardous as they ever were like consistent hair loss. Hair pulling disorder: there are certain mental illnesses, which lead the patient to pull out their own hair; this is also a cause of hair loss. Products: there are certain cosmetic and artificial products which when excessively used cause hair loss problems in men and women.